That was enough to bring out thousands of bikini-clad locals to party along an ocean in its death throes. But, hey, you couldn’t see anything. 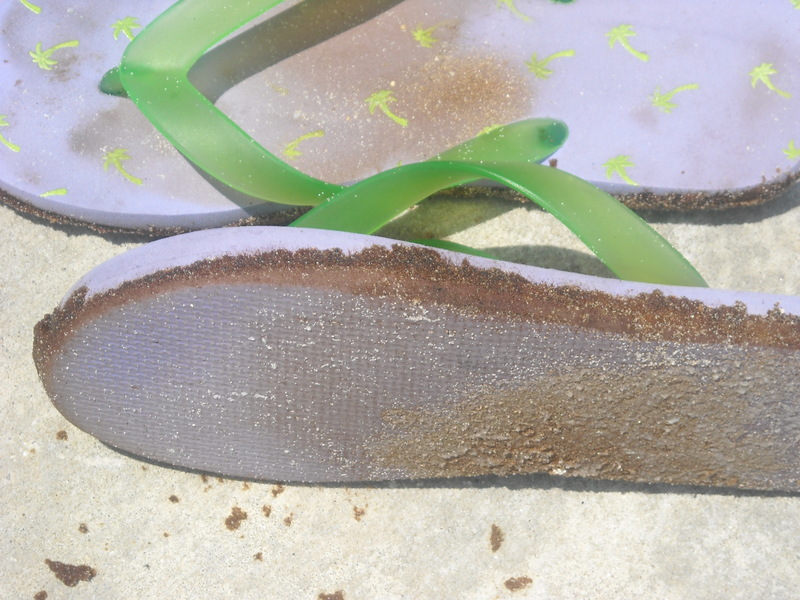 It was only when you looked at your feet or your flip flops that the reality hit home. We spotted only a handful of people cleaning oil off the beaches. But down near the entrance to Ft. Pickens on the west end of the island, people were leaving their oil gooed flip-flops behind. 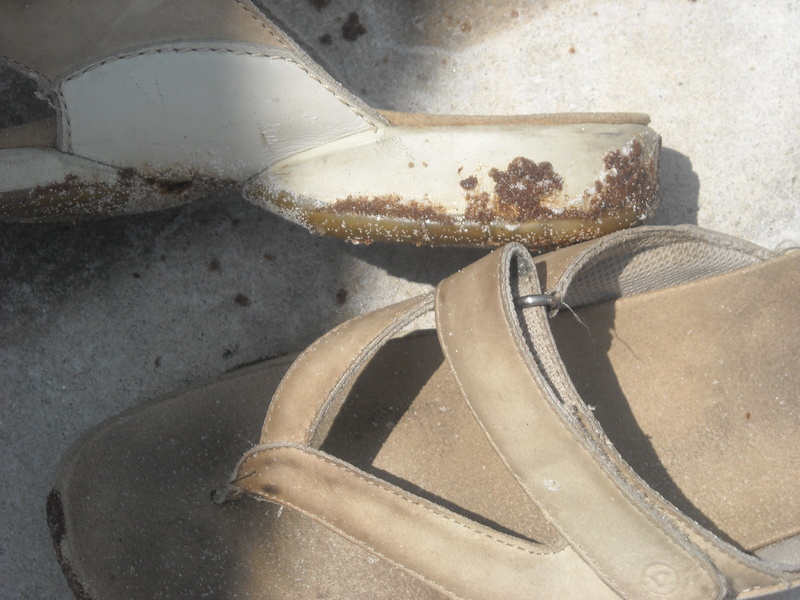 Even at a spot that appeared to be clear beach and clear surf, we got back to the car with oil streaks on our feet. There was a distinct smell of petroleum on the breeze. Even though Jimmy Buffet was trying to encourage a town that has only recently come back from the devastation of Hurricane Ivan, it was probably the wrong message. Hurricanes and oil spills are not comparable, one being naturally caused and the other by human error and poor judgement. When the entire focus is on keeping people coming to a beach that is unhealthy for human use (I saw many babies and toddlers sitting in the sand and playing at the edge of the ocean) one has to wonder. 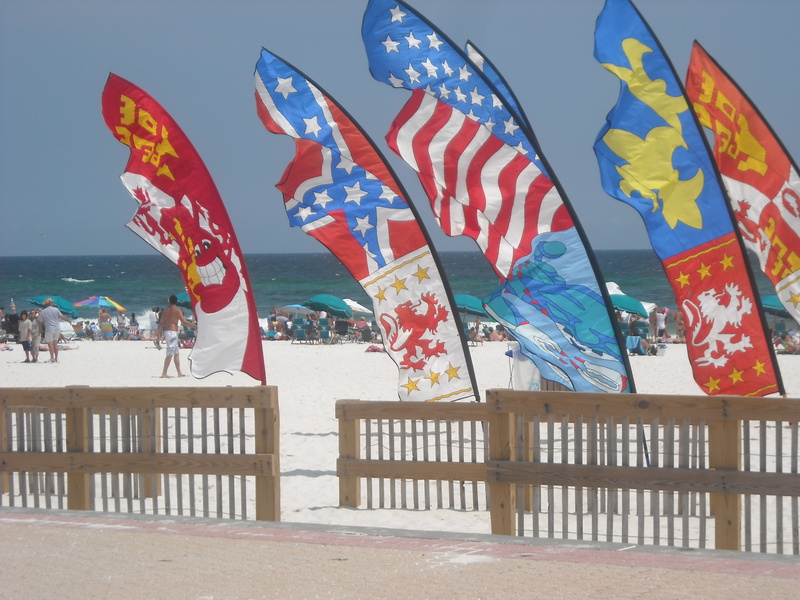 Jimmy recently bought a gorgeous four-star hotel on Pensacola Beach – Margaritaville – and that has to worry him, too. I know my town is trying to postpone the inevitable but postponing it is keeping us from taking action to change the way we all do business. From the local to the federal, we are willing to risk everything we love for the economic bottom line. This will reach back and bite our children if we do not mitigate the damage aggressively, protect children and youth, and then set policies and stop processes that take us near that precipice again. For now, the beaches and the Gulf will be recovering for a long time…probably longer than we think.